After an evening of cantors with the JSO our final day in Jerusalem began on the Mount of Olives at St Mary Magdalene, the always cacophonous Church of All Nations (a.k.a. The Agony) and Gethsemane itself. 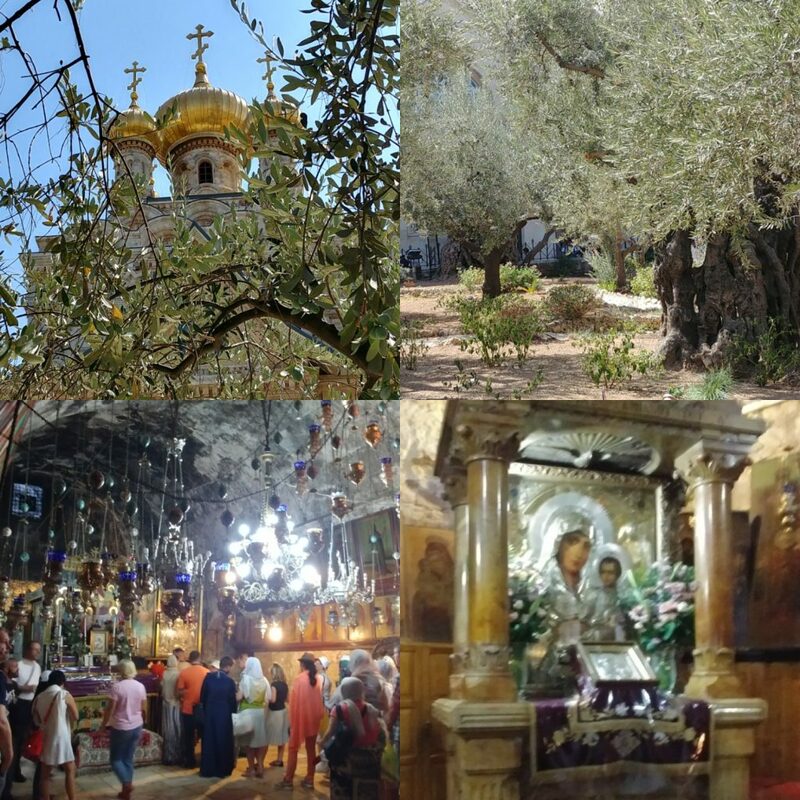 Fittingly for the Feast of the Holy Name of Mary we then went to the Sepulchre of the Mother of God and venerated the icon of Mary of Jerusalem.